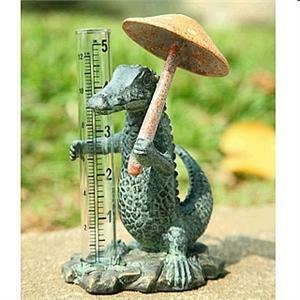 Our friendly alligator figurine is a surely nice fella as he dons the outfit to measure your rain for the day. Aluminum and glass. Dimensions: 6.5"H x 4" x 4"